Trees for Rose Park South Tribute Local Leader – March 18th! New trees are coming to the Rose Park South neighborhood in 2017! I am writing to invite you and your groups to volunteer to help plant them! I am honored to share that the community is hosting this tree planting in memory of Douglas and Scottie Hinkey. Douglas and Scottie Hinkey were Rose Park neighborhood residents for many years with deep roots in Long Beach. Scottie was among the inaugural freshman class at the University of California, Irvine. While a student at UCI, she met her beloved husband, Douglas M. Hinkey. Douglas was passionate about art history. Later in life, Douglas worked with the Museum of Latin American Art and the FHP Hippodrome Gallery. Douglas authored two books about art in Long Beach — The Art of the RMS Queen Mary and Federal Art in Long Beach: A Heritage Rediscovered. Scottie donated hundreds of hours to help develop and inspire grassroots neighborhood leaders in Long Beach to make a difference in the community. 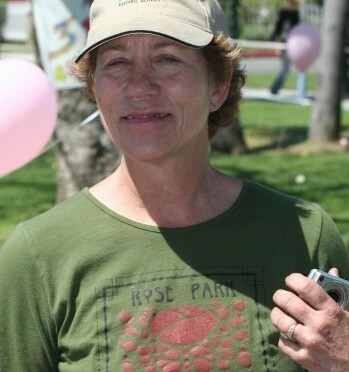 Scottie served as the President of the Rose Park Neighborhood Association and led the restoration effort of Rose Park. She graduated from the Neighborhood Leadership Program Class of 2006 and was a founder of the Neighborhood Leadership Program Alumni Support Team. Scottie served as the community training coordinator at the City of Long Beach Neighborhood Resource Center. The Port of Long Beach has provided funding to plant 6,000 trees in Long Beach neighborhoods through 2020! Businesses and community groups are partnering with Housing and Neighborhood Services to provide volunteers at the tree planting events. Come help build the urban forest in the neighborhood bounded by 7th Street (north), 4th Street (south), Redondo Avenue (east), and Junipero Avenue (west) along with the Sierra Club Long Beach Group! Volunteers including young people and adults are welcome to join and participate at this event. Partners will be recognized on the event flyer. Can your organization assist with watering the trees during their first year? Public Works will survey the neighborhood for tree planting locations and is determining the species for the sites. Housing and Neighborhood Services staff will mail letters to the property owners of all the adjacent sites to notify them that trees will be installed and to provide them with an opportunity to decline them. Housing and Neighborhood Services staff will deliver all the trees and tools on planting day. Thank you for helping to build the urban forest and clean the air we breathe! Previous PostPub Conversation Informs NeighborhoodNext PostTai Chi-efs!